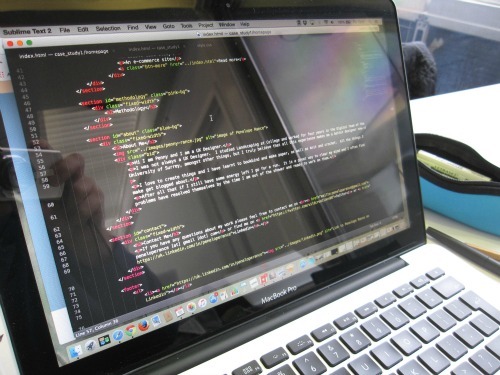 The question of whether designers should code or not comes up on a regular basis. I have seen it in blog posts, on Twitter, on podcasts and at meet ups. I have heard both sides of the argument and now I will pitch in with my thoughts on the subject. So should designers code? I think it depends. It is a useful skill to have but I do not think it stops you from doing your job if you cannot. However I do think you will do a better job if you at least have some understanding of how code works. And prototyping in code can produce something which stakeholders respond to better than wireframes or photoshop mock ups where a bit of imagination is required to see how the thing will work. But I also think this is a wider question than just should designers code. As a UX Designer should I also do UI (User Interface) design? Should I be able to use Google Analytics (other analytical tools are available)? Project management? Copy writing? You see, to be a good UX designer I believe you need a little bit of everything. I am not talking about being super good at everything (I am no unicorn either), but at least having an understanding of these things so you know when you need to talk to the Insights Team and the right sorts of questions to ask, or understanding that the thing you have designed which looks so cool, will be a coding nightmare. Of course there are things I do need to be really good at, for instance problem solving and communicating and understanding my users, but my skill set can be broader than this, even if every skill does not go to the same depth, each thing adds to the overall success of my designs. And I also believe each skill can be built on and new skills added as needed. This is the beauty of working in tech, it moves so fast there is always something new to learn.